Know what's due and what your balance will be on any given week up to 3 years in advance. This way you'll know what you can afford and how much you can save. Plan ahead and avoid overdraft fees by seeing how your spending today affects your account balance months from now. If you don't see red, you are good to go! Get due dates off the back of your mind. Receive bill reminders so you know when bills are due, avoid late fees, and free up your mind for more important things. 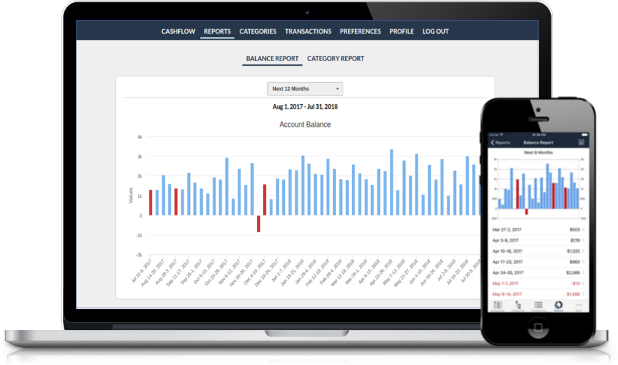 "Great app that shows you your cash flow forecast: syncs with the web app as well. Love how I can see with one glance when things are due and how much money we have at any given point in time. Kudos for the email reminders for upcoming bills and transactions." "This really makes you feel like you're in control of your spending. It takes the guess work out of looking ahead. I'm super laid back which can some times come back to bite me. But this makes up for my lack of prep 10 fold." "Does just what I needed!" 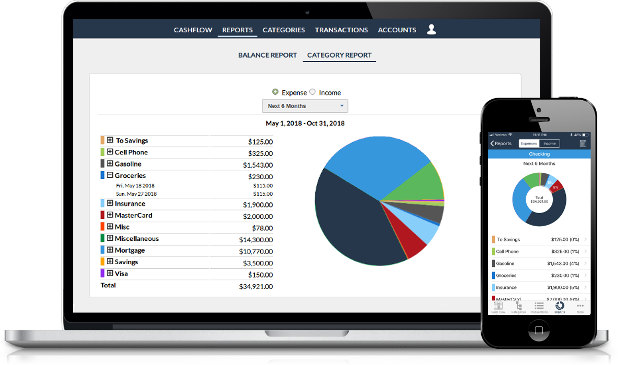 "I finally found a personal budgeting app that looks into my future account balances. It's been hard to find one that makes sense and has this feature. 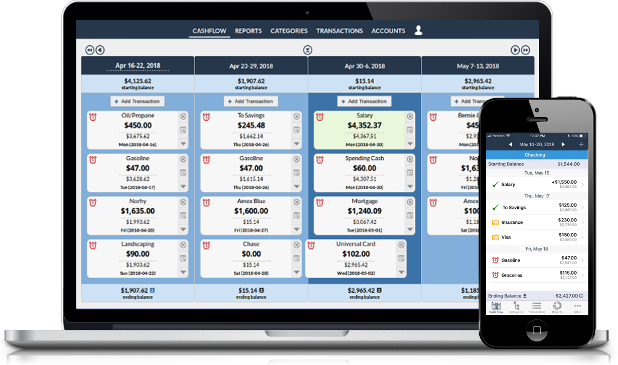 I use this to reconcile and keep track of what's going on in my checking account as far as money going in and coming out with bills, etc." © Kualto LLC. All Rights Reserved.